Michael F. Socha is a partner in the firm’s Lancaster office. He handles all aspects of civil litigation, including property, general liability, product liability, commercial trucking and motor vehicle cases from initial pleadings through discovery, depositions, dispositive motions and trial. Mr. Socha has represented clients in Federal and state court throughout Pennsylvania. He has successfully represented a wide variety of insurance companies and their insureds, self-insureds, and individuals. He has also successfully represented corporate entities ranging from general contractors and subcontractors to commercial trucking companies, animal breeders, landscaping companies and restaurants. Mr. Socha’s prior experience also includes the defense of § 1983/Civil Rights claims and appellate practice. 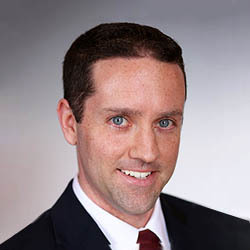 Mr. Socha was selected for inclusion in the 2013, 2014, and 2015 editions of Philadelphia Magazine “Pennsylvania Super Lawyer – Rising Stars,” a listing which includes the top 2.5 percent of attorneys in the Commonwealth who are 40 years of age or younger or have been practicing for less than 10 years.